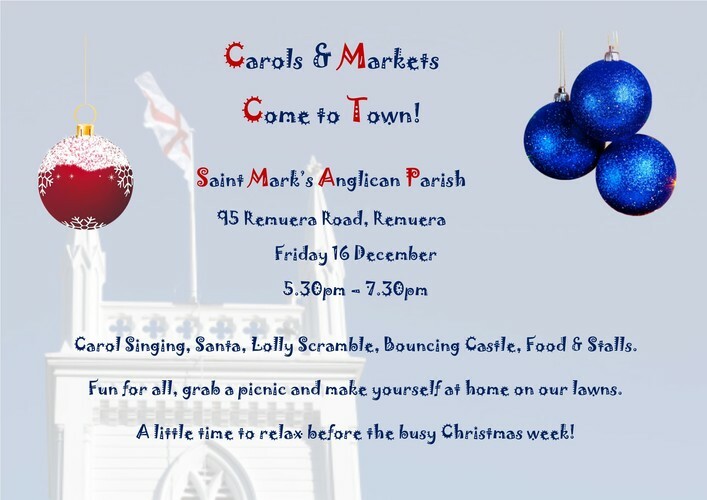 Clevedon Farmers Market comes to town and joins Saint Mark's for Carols on the Lawn! Before the busy week of Christmas make the most of the evening Sun, grab a picnic and a bottle, throw down a rug or chair and join us to a few hours of carols and music. Fun for all the family with carol singing, Santa, lolly scramble, bouncing castle, BBQ, food & stalls. Let's get together and get into the Christmas mood! Cancelled in the event of heavy rain.